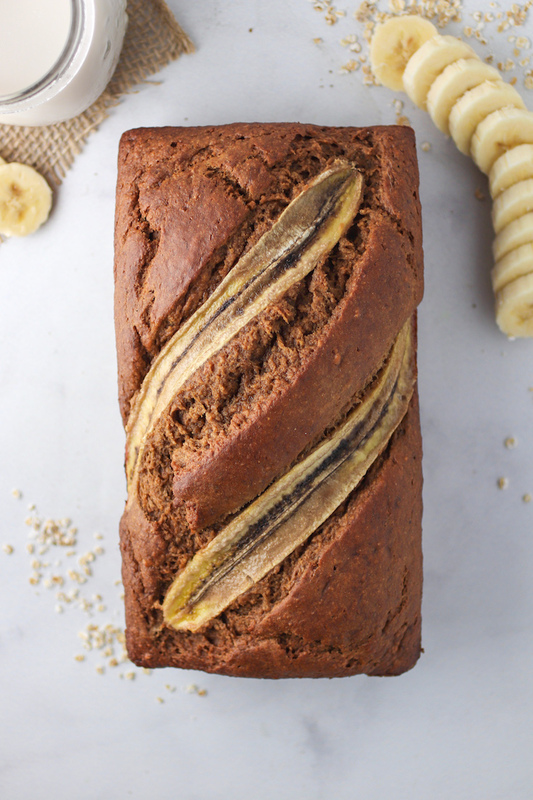 Everyone needs that good staple, go-to banana bread recipe. The one where you no longer need to look at the directions because you’ve made it so many times you just know what to do. So I thought I had it, until I made this one! Mash the bananas in a large mixing bowl with a fork. Add all the other wet ingredients (eggs, oil, applesauce, milk, vinegar, vanilla) and mix with a fork until well combined. Add the baking soda, flour, cinnamon, salt, and nutmeg. Mix to combine. It should form a thick but not dry batter. Stir in any desired toppings (walnuts, chocolate chips). Pour the mix into a greased loaf pan. Bake until the top is golden brown and splits, around 1 hour. If using gluten free flour, the brand may alter the taste/texture slightly! This looks so yummy! I can’t wait to try it! 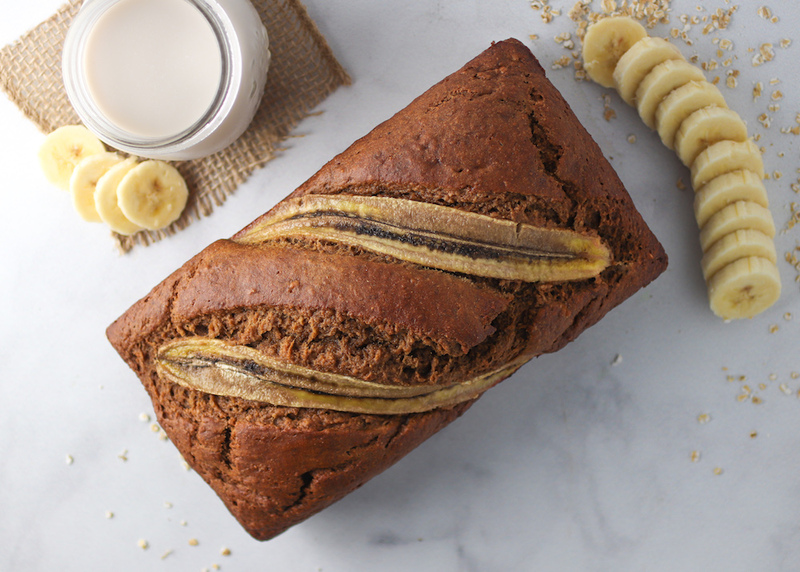 There is absolutely nothing quite like a fresh loaf of warm banana bread. 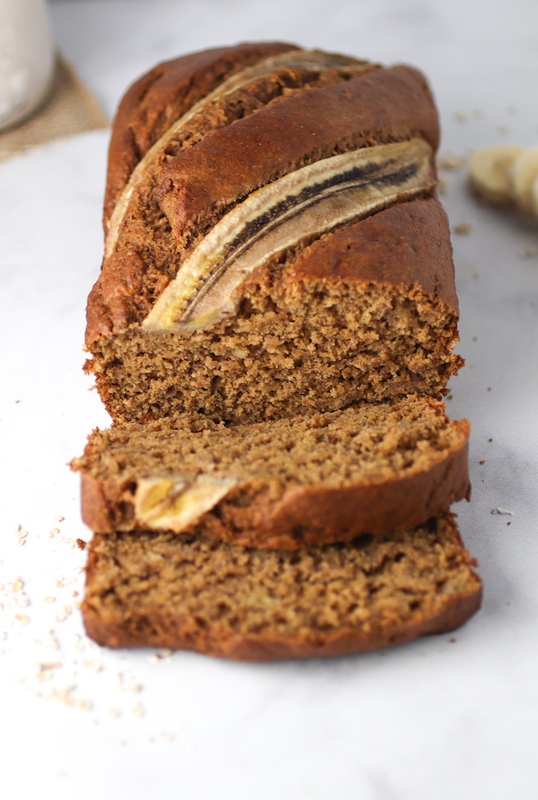 I always have a bunch of over ripe BANANAS just for this purpose… definitely a BANANA bread addict. Okay, ERRr scratch that, banana addict in general, lol. I’m vegan though, do you think It would be better to sub extra unsweetened applesauce or flax egg? I’ll also most likely sub applesauce for the oil, i do this for everything I bake. Hi Allison! I love bananas too. 🙂 I would try subbing flax eggs for the eggs (although I have never tried it!). Let me know how it turns out! 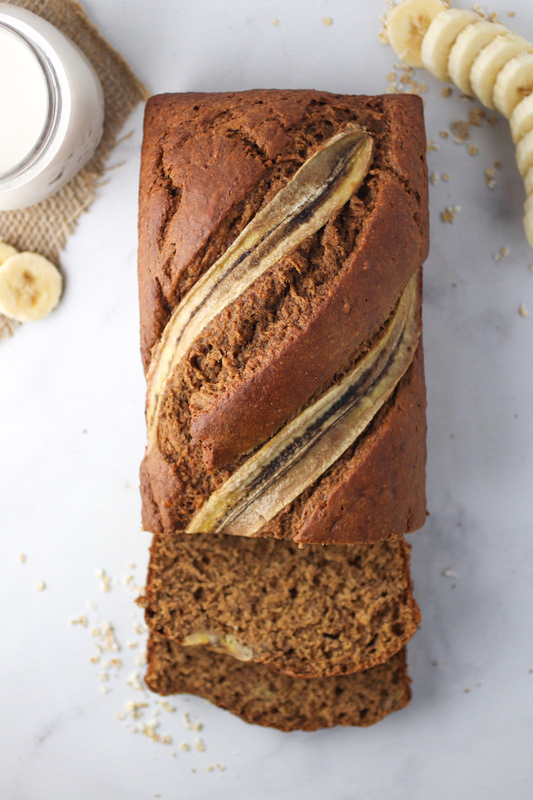 I am readying my attack for this wonderful-looking banana bread. Do please tell me the size of the loaf pan i use to have it result as in the pictures? Hi Jackie! Just a standard size bread pan! Hm I Just tried and I works on my end! I’m sorry it’s not loading for you!